In addition to their corporate profiles, hospitals have a medical profile. This profile describes the kinds of medical care the hospital is licensed and equipped to provide. Acute Care General Hospitals are equipped and staffed to provide short- term, inpatient medical and surgical services for many different conditions and illnesses and provide continuous nursing services. When staffed, equipped and licensed to handle acute episodes of various illnesses and conditions, accidents or other traumas, which may or may not involve intensive care, these facilities are also classified as acute care hospitals. Therefore, hospitals that are licensed to provide various acute levels of care are known as acute care general hospitals. Today's acute care general hospitals are open 24 hours a day, 365 days a year to provide around-the-clock emergency care, day-to-day medically necessary services and, in many cases, wellness services and other specialty services such as transplant surgery and research-based studies. With a staff and physical facility appropriate to the patient population it serves, today's acute care general hospitals have become ready and able community-oriented medical facilities. With this newer community focus, most acute care general hospitals are being referred to as community or regional hospitals. Over 90 percent of community hospitals have emergency facilities and are licensed as acute care hospitals. Some of these acute care general hospitals include the word 'community' in their name. A community-based acute care general hospital may be an urban (city) facility, a rural facility or may be designed and staffed to serve both urban and rural populations, thereby becoming a regional hospital. A community or regional hospital can be large - as many as 500 licensed or staffed beds (that is, they can treat 500 patients at one time) - or it can be small, having as few as 10 licensed or staffed beds. Many community hospitals today may offer highly specialized services such as organ transplants. Community hospitals may be privately or publicly owned and may operate as proprietary or as nonprofit corporations. The Critical Access Hospital (CAH) program is a federal program to help rural communities keep their health care facilities. The program was established through legislation enacted as part of the Balanced Budget Act (BBA) of 1997 through the State Medicare Rural Hospital Flexibility Program (Flex). The advantages of this program are to "offer adequate health care services that meet the needs of the community citizens (such as radiology, laboratory services, outpatient rehab and surgery; and assist in ensuring financial viability of small rural hospitals through enhanced reimbursements." Another type of acute care hospital, a specialty acute care hospital, offers highly specialized care for a particular group of patients, such as children, long-term acute, psychiatric or rehabilitation hospital. An acute care general hospital may also be accredited to teach and be classified as a teaching hospital. Teaching hospitals provide medical education facilities and training to future health care professionals. Most teaching hospitals also serve as community or regional hospitals. 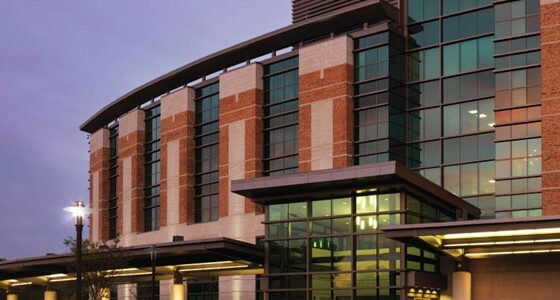 A teaching and/or research hospital usually has many specialty units and is able to handle state medical disasters. Virginia has both formal and informal teaching hospitals. Other teaching hospitals may have a less formal teaching structure because they are not directly affiliated with an undergraduate medical school or university. However, through an affiliation with an accredited medical school, these less formal teaching facilities can offer valuable clinical experience to medical interns, residents, nursing students, and other health care professionals. Typically all teaching facilities - like almost all other acute care hospitals - are accredited by the Joint Commission on Accreditation for Health Care Organizations (JCAHO.) Many teaching hospitals are also active in the Council of Teaching Hospitals and Health Systems (COTH) of the Association of American Medical Colleges. Through special research departments, teaching hospitals may also perform a vital research function. A research hospital studies ways to reduce disease and medical disability and improve medical conditions. A hospital can be both a teaching hospital and a research hospital.